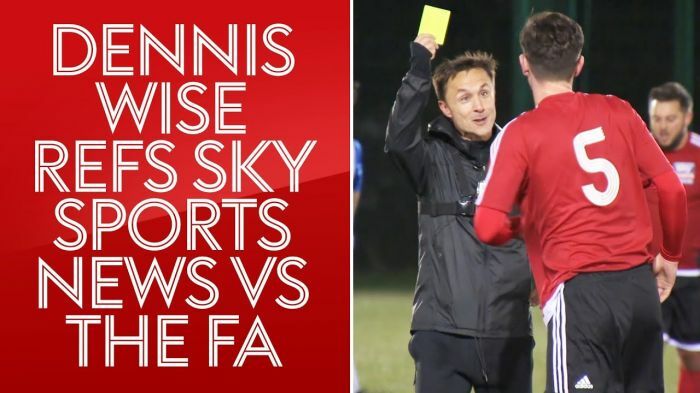 As part of Support The Ref week, former Chelsea midfielder Dennis Wise became referee for one evening as he took charge of Sky Sports News v The FA. The scourge of many a referee during his playing days, who better than Dennis to try his hand as the man in black? Dennis, who picked up 70 yellows and was sent off five times in his career, took the first half of the clash in west London. "For a long, long time I made ref's lives a nightmare! I gave them a lot of stick, but you did it for a reason, to see if you could get a decision going your way."